You may wonder about cultural differences that you might encounter as you travel in Mexico, and one of the most challenging may be dealing with the Mexican perspective of time. This is especially true if you have been invited to a special event. There is a difference if you will be attending an event in Mexico that has been coordinated and planned by others from your own country. However, Mexican time is a bit more relaxed, and you should be prepared in case of delays at events hosted by Mexican citizens. 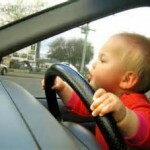 Don’t expect relaxed attitudes in cases of car accidents. Make sure that you carry proper Mexican auto insurance for travel so that you don’t end up in legal trouble. Leniency for foreigners is a myth, and failure to carry a Mexican insurance for vacation could cause some major time problems for your return trip across the border. Unless you belong to a Hispanic family, you may be unaware of the tendency to begin an event much later than a schedule dictates. For example, you may arrive at a birthday party on time based on the invitation’s information. However, this is often the time at which the host will begin to decorate and prepare the area. Unfortunately, it is difficult to know at exactly what point the official event will begin. While you can probably catch all of the important action even with a bit of a delay in your arrival, you may not want to be too late. You can ask others in the area about what to anticipate. Delays can occur at businesses. They can also occur on the road in Mexico. In some cases, checkpoints, accidents, and other issues can crop up, resulting in a wait. In some cases. locals will break out their lunches and spread a blanket on the side of the road. In case of a vehicle emergency, you could face a bit of a wait after contacting your Mexican auto insurance for travel to initiate roadside assistance. Your Mexican insurance for vacation can cut your wait to get help with a mechanical problem. Be sure that you select a reliable company for Mexican auto insurance for travel so that you are assured of efficient roadside support.